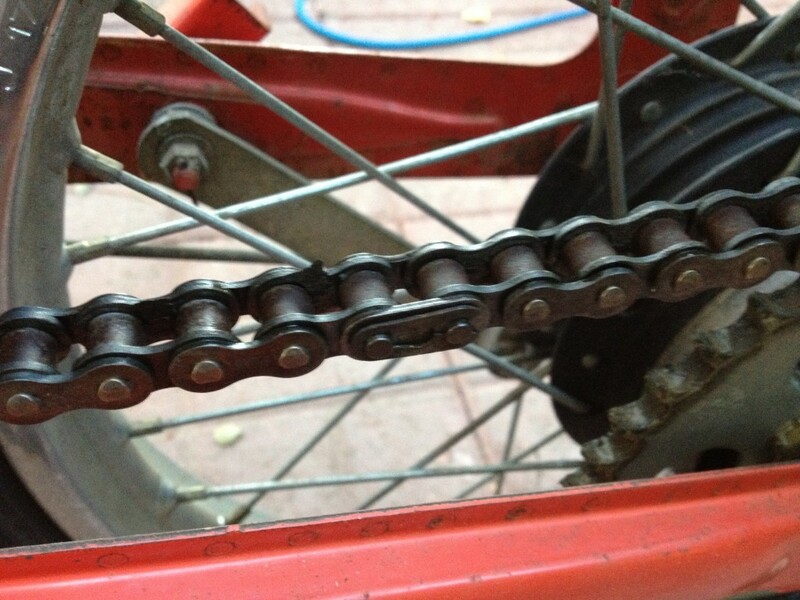 The bike came to me a bit of a puzzle. My aunt was able to find most every part of it, but some things were missing and we didn’t know the maintenance history. 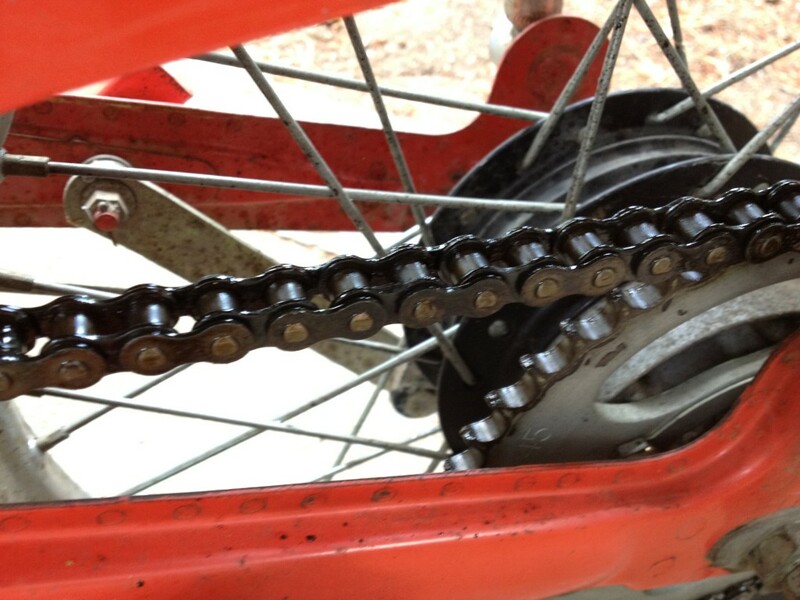 Since the bike had been sitting outside for 12 years, there were things we could anticipate. The oil would be degraded. 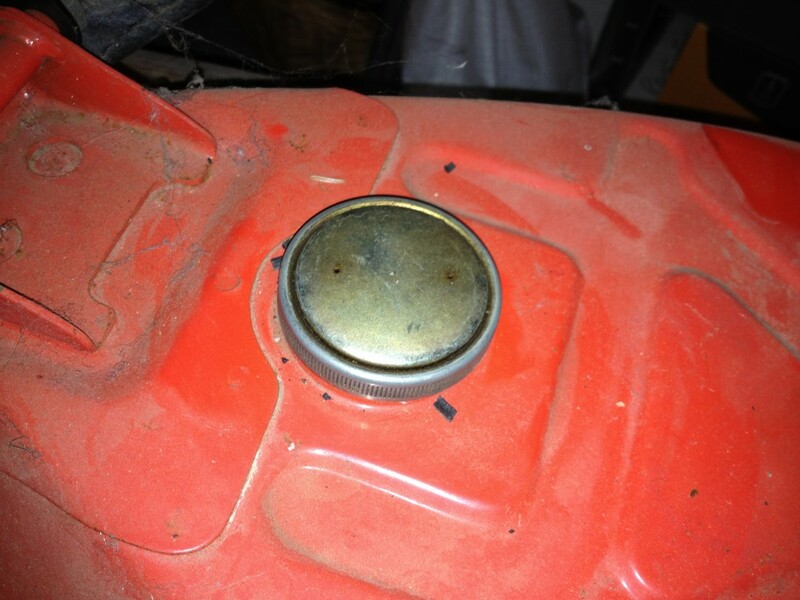 If gas was left in it, there would be residue in the carb and gas tank. Rubber might be dried out, vinyl hard and discolored. There would be rust. Thankfully the bike sat under a deck, so it hadn’t been rained on. Also good: a service manual can be found online, and my aunt had a Hayes manual for Hondas of this type. My friends Toby and Jamie came over and helped take things apart and assess. Here’s a breakdown of what all we worked on to get it running. There was no battery. The original battery is a wet cell 6V that sounds like a pain. Research indicated that people have converted to using sealed lead acid, specifically this one. That’s what I did, so far it’s been fine. Note that I got a generic 15A blade-type fuse at the local auto parts store rather than go with the stock glass type fuse. 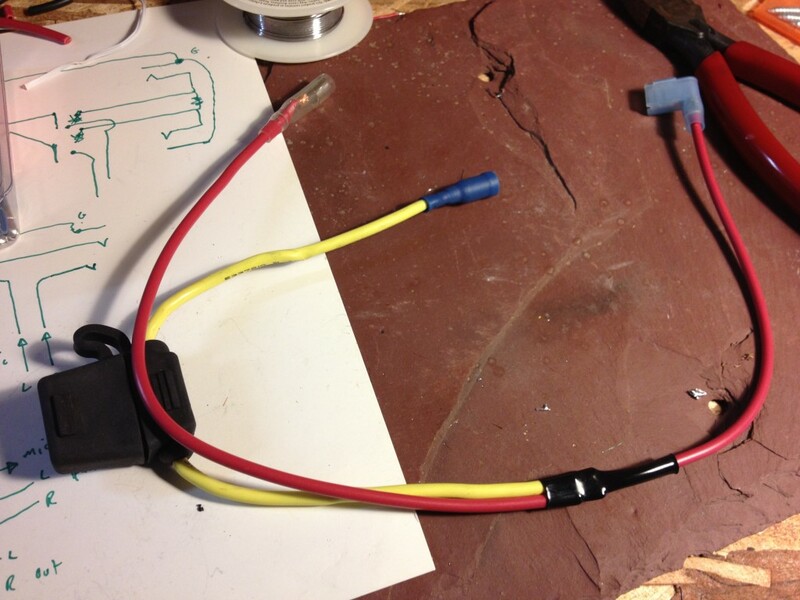 I also had to go with larger bullet connectors as I couldn’t find any of the stock smaller ones, even through Dr. ATV. All the lights were burned out. I mean all of them. My guess is that someone tried installing a 12V battery at some point (it’s a 6V bike). These were simple enough to replace, once I sourced them. On installing and then testing them, I found that the turn signals didn’t blink, so I had to replace the blinker relay as well. While I was at it I cleaned the plastic light covers and replaced two of the rubber gaskets. When a bike sits unused the tank might get rusty. 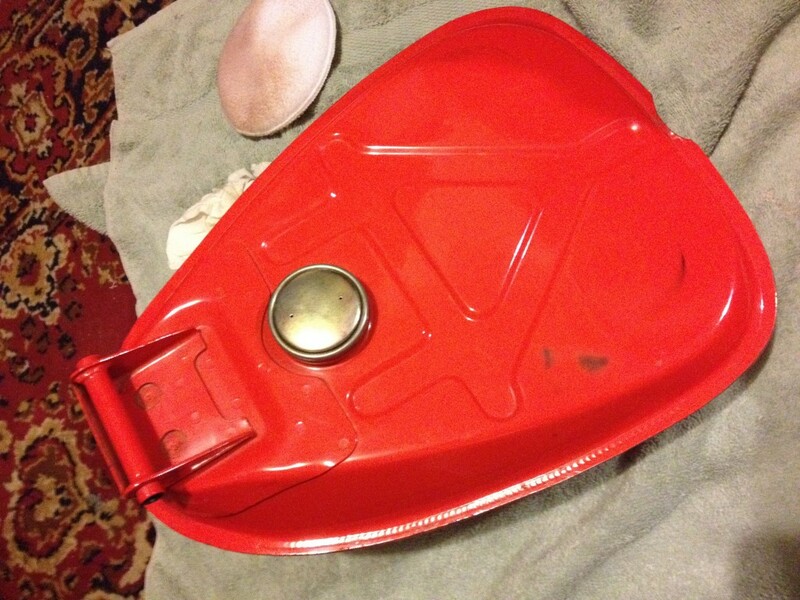 Thankfully my uncle drained the bike before storage (I think), and the tank didn’t seem to be very corroded. It was dirty though and there was a stick in it — weird. 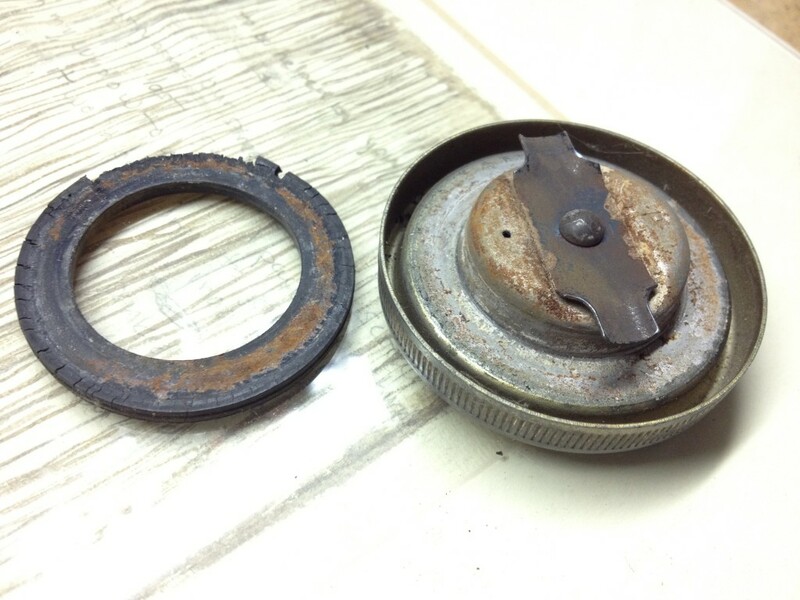 Also the gas cap seal was deteriorated, as you can see below. Research indicated there are any number of more or less expensive ways to deal with an old tank. I went with a cheap one — I poured some mineral spirits in, swirled it around and emptied it, then I sprayed WD40 in to coat the inside as well as I could. The assumption here was that the mineral spirits would clean off any gunk/loose rust and then the WD40 would prevent rust until I could fill the tank with gasoline. I also washed and waxed it and replaced the cap seal. Finally, I replaced the fuel lines and installed inline filters on both fuel lines to trap any crap from the tank I didn’t get out. Note the black smudge marks visible above are from under-seat rubber pads that are on their way out. After a couple of fillups I’m finding that the paint is coming off the tank around the gas cap, so something went wrong there. I went at it first with some mineral spirits and a brass brush, and this worked ok but mineral spirits are nasty so I tried again with Simple Green, water, and brass brush. This was just as good, as far as I could tell, and less toxic. 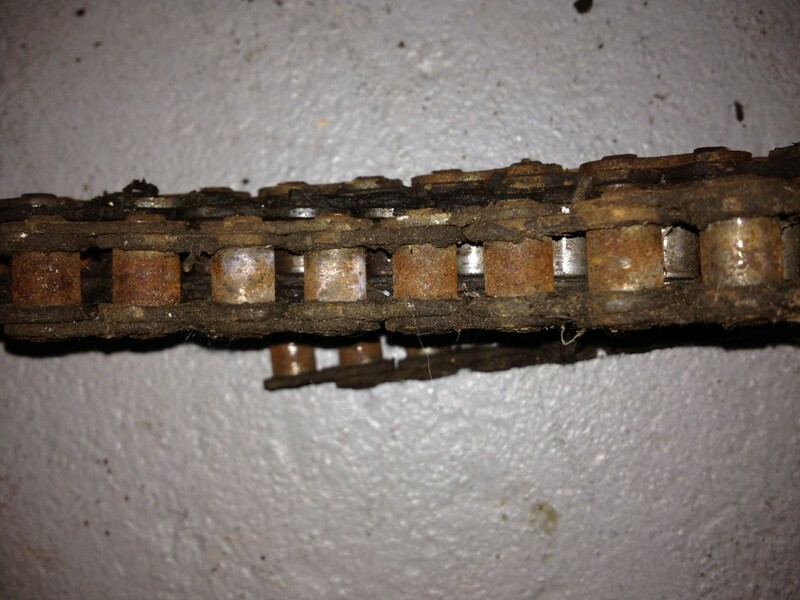 I brushed, drained, brushed, drained, etc until the chain was “pretty good” and the water/degreaser mix I was draining off wasn’t totally black. 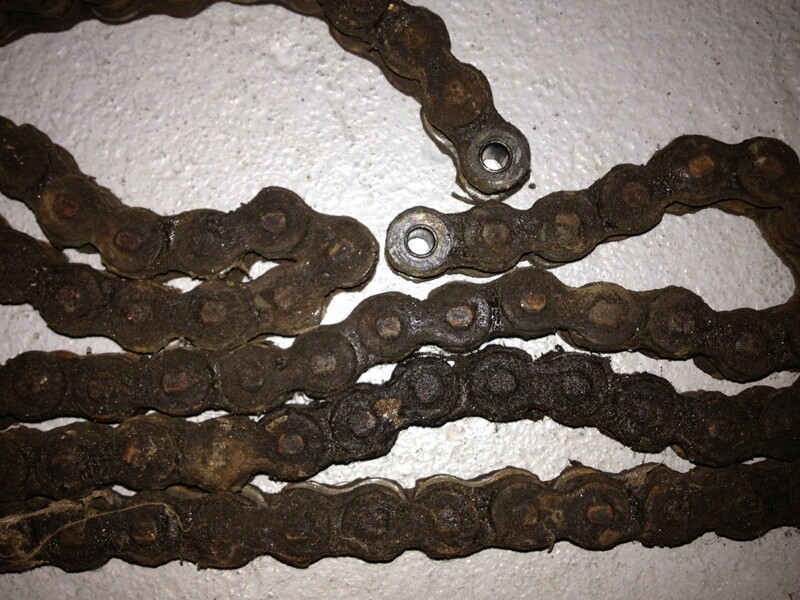 After that I sprayed it with some WD40 to get the water out, and finally some spray-on chain grease once the chain was back on the bike. It moves and looks great now and hasn’t broken/cut me to ribbons yet. When my friend Toby and I set out to start the engine for the first time, we had good news and bad news. The good news was, it started. The bad news was that gasoline was dripping everywhere, which was alarming. 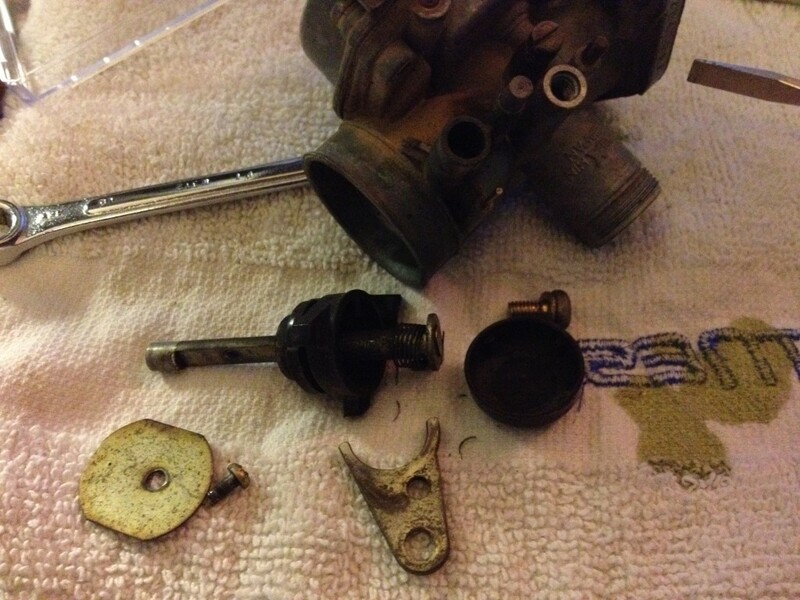 It was leaking out of the carburetor, specifically from the float bowl and the petcock, indicating the gaskets were bad. (A nice side-effect of this though was that in wiping off the gas the engine got quite a bit cleaner). 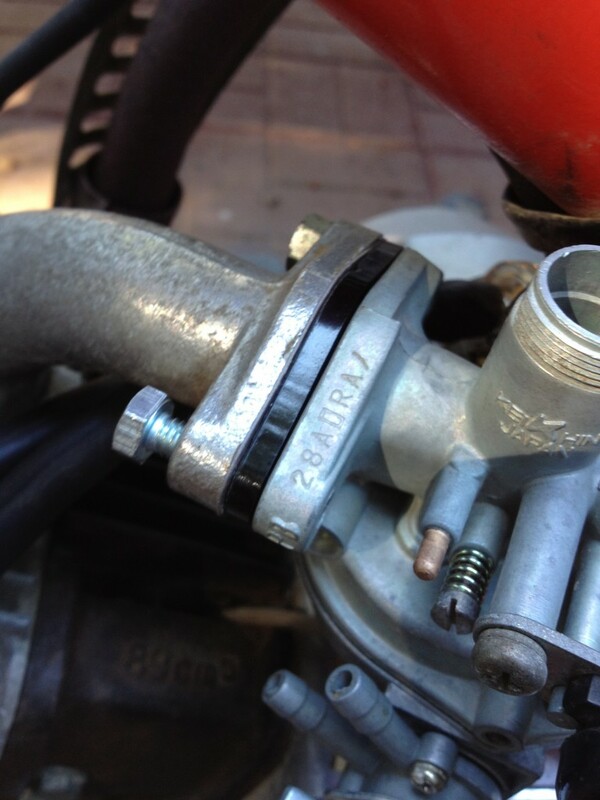 I wasn’t able to find a complete rebuild kit for the 1979 Keihin carb (with new jets, springs, etc), but gaskets were readily available from Dr. ATV. 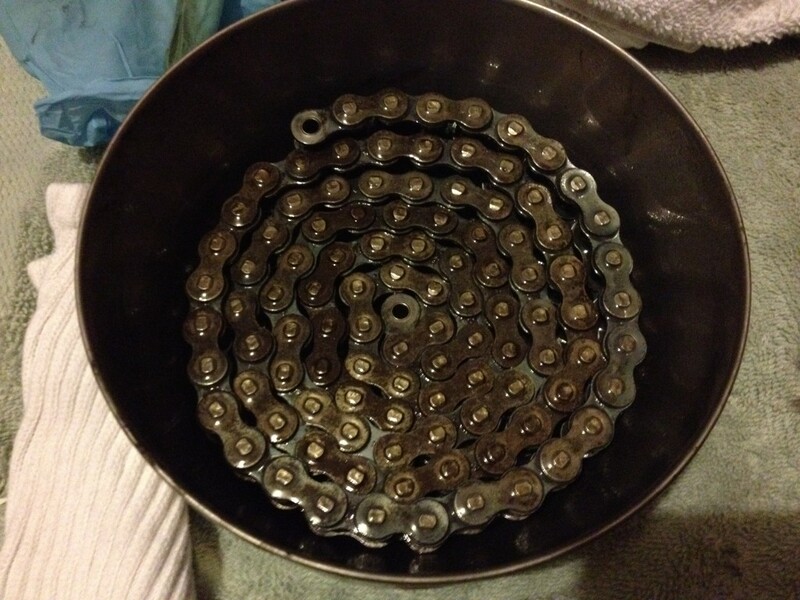 So I got a gasket kit and some Berryman carb cleaner dip, and went to town. 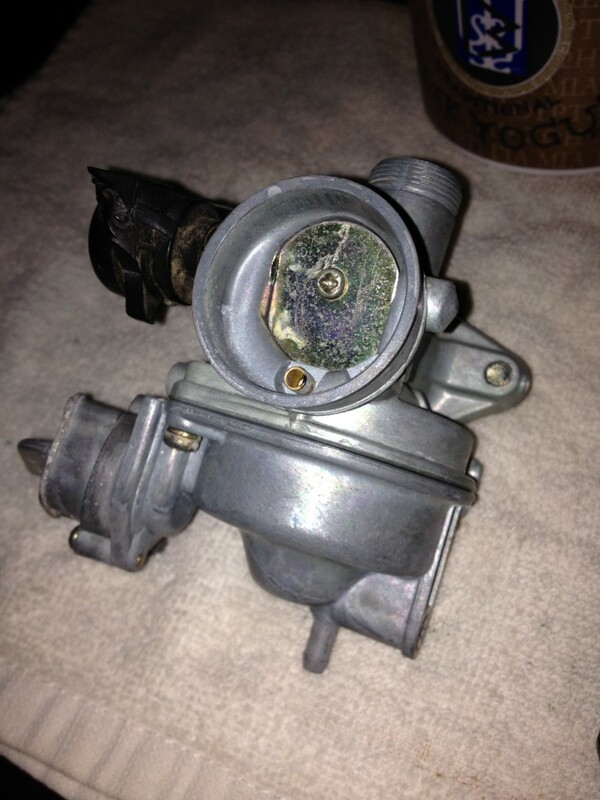 The carb was pretty gunky so this was a good move regardless of whether it had leaked or not. 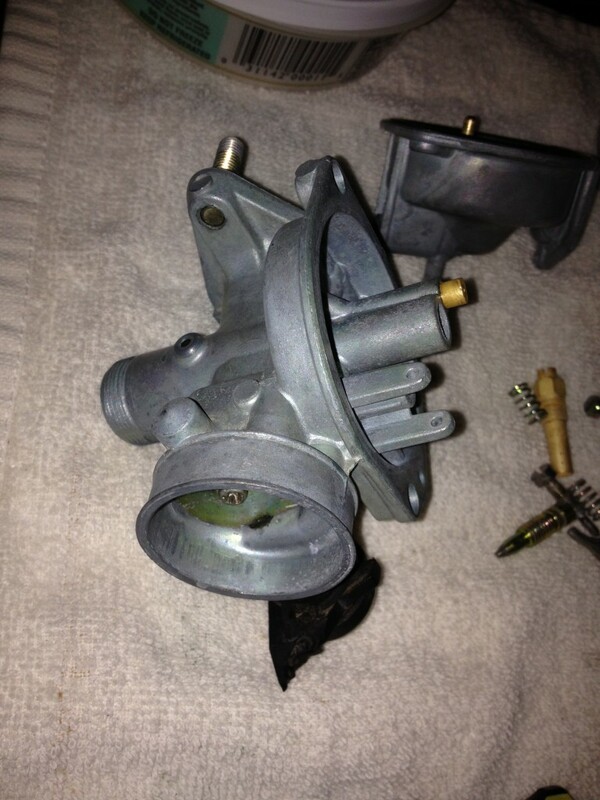 Actually I should say that I first tried an overnight test soaking of some carb parts in concentrated Simple Green. This did not work at all, prompting me to go with the Berryman’s (metal parts only). I recall using some of this stuff years ago when I rebuilt my VW Beetle’s carb. The dip can back then was covered in dire warnings about the chemical evil within, and the stuff was scary, though it worked really well. It seems that since that time it was determined that those chemicals were too dangerous for civilians to handle (hexavalent chromium being one of the ingredients) so the formula has changed. It still works pretty well and I feel better about having it in the house. 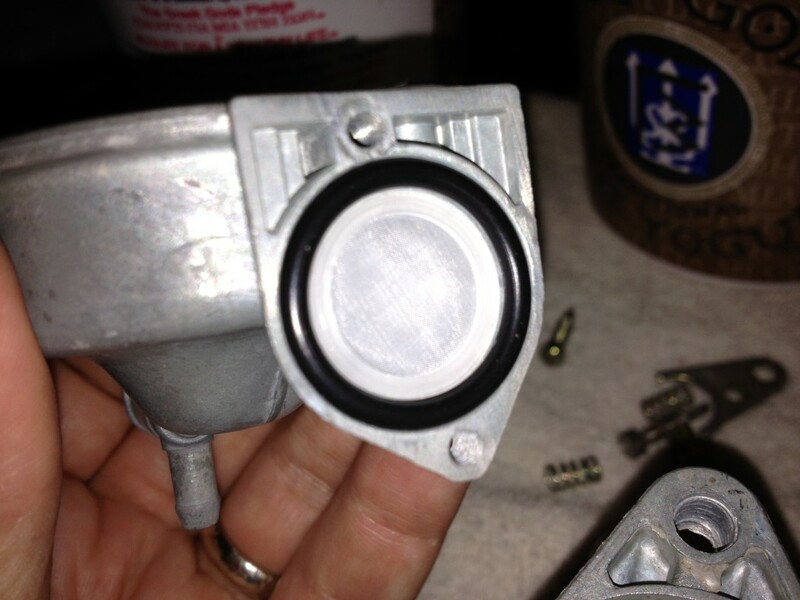 15 minutes in the can was enough to get the parts pretty clean, then a water dip, then some compressed air to finish. 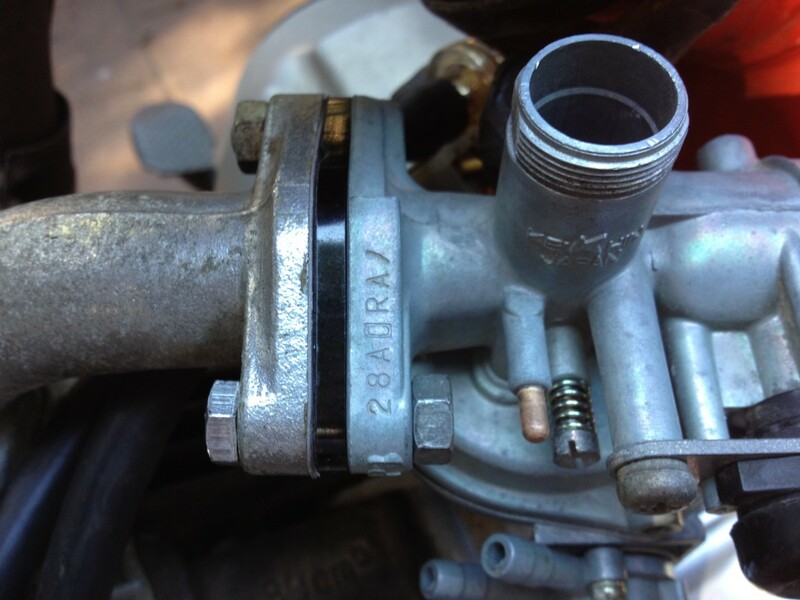 The original petcock on the 1979 Keihin carb is riveted together so you can’t readily replace its internal seal. This was a problem since it was leaking. Dr. ATV sells a “rebuildable” replacement that’s for the CT70 and ATC70, while implying that it might work on a CT90. It was only $10 so worth a try, and it does work, though the angle at which the fuel lines attach is quite a bit different. You can sort of see it in the picture below. 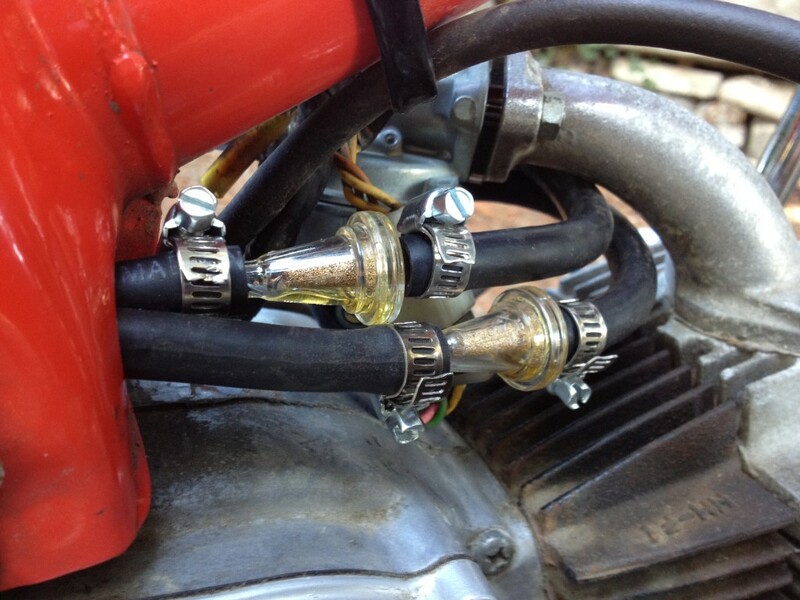 I was able to get the fuel lines on but without enough room for hose clamps. Another difference is that the new one is quite a bit thinner than the original — thinner meaning, the fuel spigots are closer to the carb body. 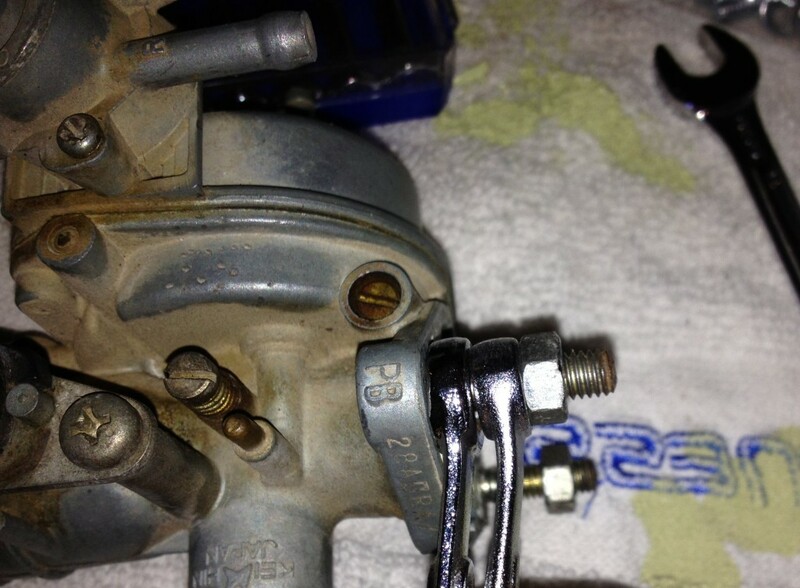 They’re close enough now that one of the fuel lines is slightly compressed against the carb body. If I ever get bored enough I may try drilling out the rivets on the original petcock and tapping for screws. Finding the right seal might be an issue but it would be nice to use the original part. 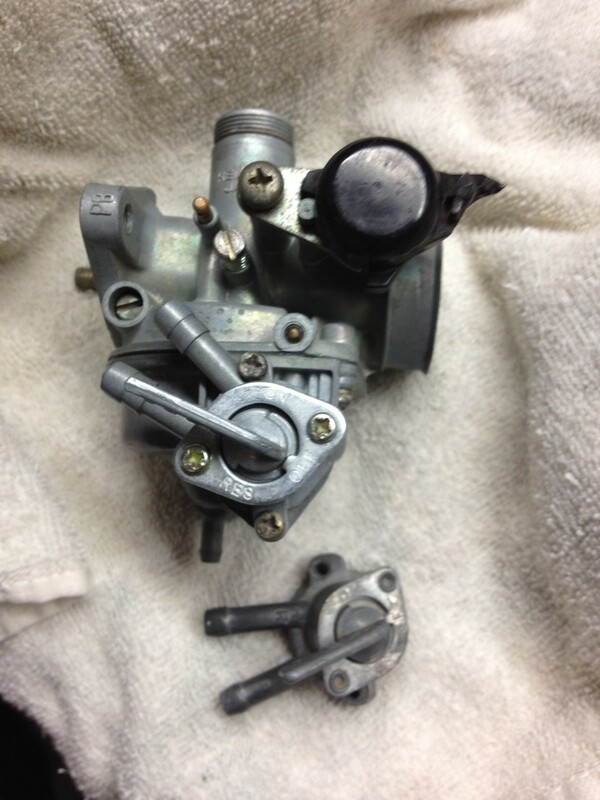 During reassembly one of the studs attached to the carb was loose and couldn’t be tightened. This is not uncommon, apparently, and the easy fix is to pull the stud out and replace it with a bolt. I had to go in from the other end, but it worked. It was a snug fit but I went slowly and the metal didn’t split. 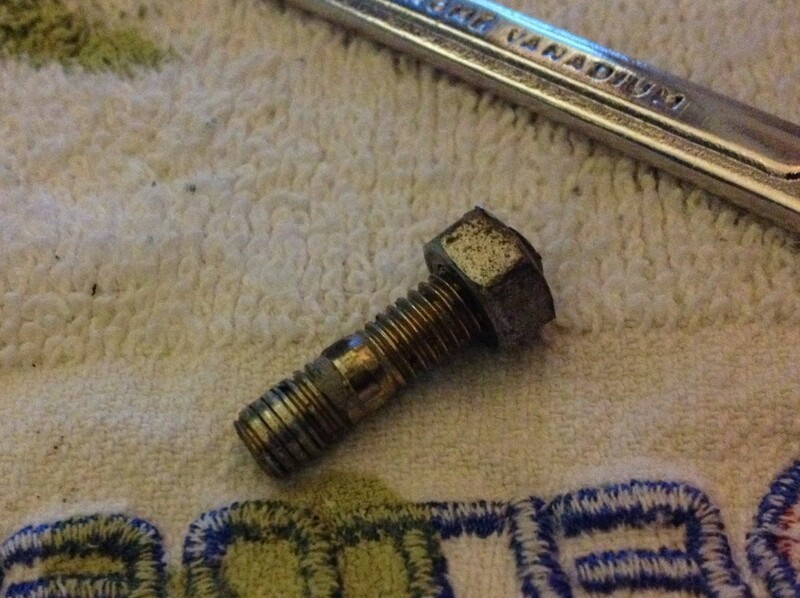 After I got everything back together and started riding the bike, I had an incident where the choke plate screw got loose. The choke was stuck “on” and the engine wouldn’t run after warmup. I had to do some roadside wrenching to remove the choke plate and screw to get rolling again. I was lucky the screw didn’t get sucked into the engine. When I got home I reinstalled it with some red Locktite. I might not be able to get it off again without a drill, but that’s a cheap enough part to replace. 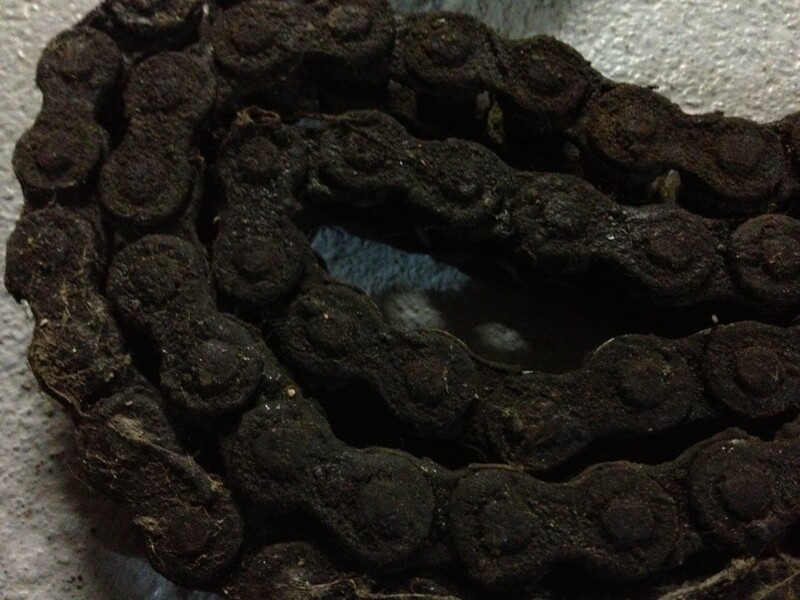 Rubber degrades over time, it dries out and apparently UV is bad for it. I was lucky in that most of the rubber on this bike was OK. Some research indicated that you can restore rubber by buying rubber restorer (imagine that) or you can just use glycerin. I went the glycerin route, applying a light coat then wiping it off. After a couple of applications the rubber was noticeably more supple. It was recommended that any rubber that will see the sun should also get some 303 protectant, so there’s that. I have some parts left to treat. The bane of my existence. I’ll explain later. I don’t have any pictures of this, but I just went by the book and it went pretty easily. Important note to self: make sure both the key and stop switch are set to “on” when testing the timing with a light bulb. That was harder than it needed to be.